Our first morning we went to the Mario Ballena National Park. 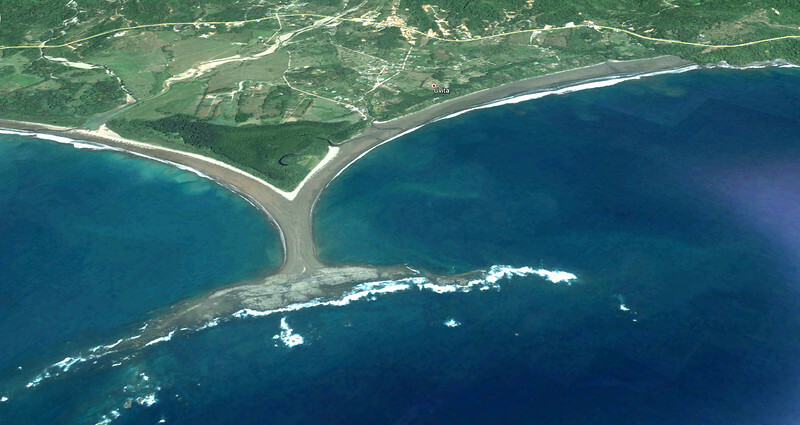 The area is commonly called Bahia Ballena (Whale Bay). There are, if our guides were accurate, 5 such naturally formed whale tails in the world and this is the largest. This image was captured at low tide. At high tide the beach and all you see is completely underwater - all the way to the green tree line.